Welcome to our website...............where we walk by faith and not by sight! Our prayer is that you will be infused with faith as you visit our site. We serve an awesome God who is ready and willing to change your life forever. Did you know that all it takes is faith in order to please Him? Come on in and look around. Whether you are looking for a "right now" Word from the Lord, products or information, you will be sure to find something that will feed your faith and encourage you. 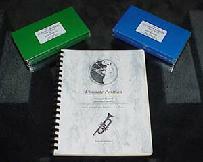 The Ultimate Position consists of two amazing videos and one awesome book depicting in detail the Stevens/Costello embouchure method for brass players. 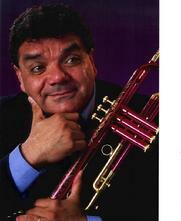 It is revolutionary and life-changing for any brass player! If you would like to increase your range, endurance, volume and control, this Method is for you! Check out Kathryn Roman's book! This book is a living testimonial to how standing on the Word of God really does work! During a devastating divorce, Kathryn turned her heart towards God, standing on His Word as the final authority of her life. She received a miraculous deliverance, which healed her marriage and catapulted Roy & Kathryn into full-time ministry. God's Word changes lives! Get your copy today!